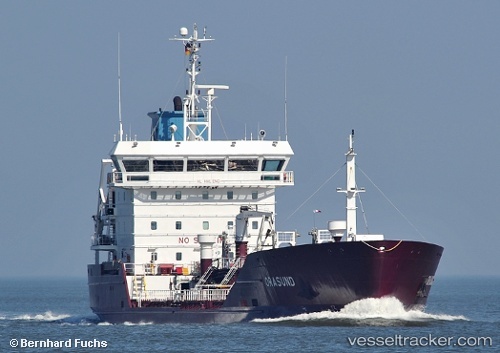 Enroute from Soby to Hamburg the "Orasund" suffered an engine blackout during the westbound transit of the Kiel Canal and was disabled near the Levensau bridge on Nov 10, 2017, around 2.30 p.m. The tug "Stein" was called from Kiel to assist the ship which meanwhile has resumed the voyage to Brunsbüttel after the tug joined. The tanker dropped anchor on the South Anchorage of Brunsbüttel after completing the canal transit at 4.25 a.m., On Nov 11 at 1.15. she continued the voyage to Hamburg where she berthed at NHG-ADM in the Köhlbrand on Nov 12 at 9.30 p.m.